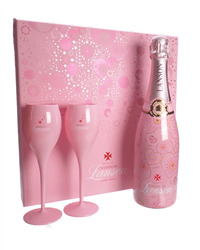 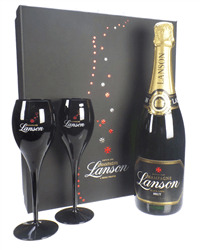 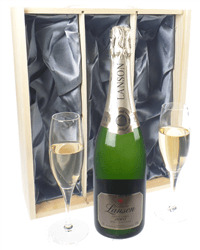 Lanson Champagne and flute glasses makes the perfect gift for any celebration. 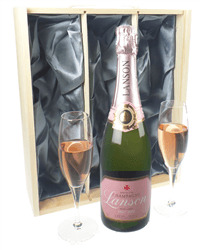 Our extensive selection of Lanson Champagne gift sets with flute glasses include Brut, Rose, Vintage and White Label champagne with a choice of Lanson branded or plain flutes in a range of presentation boxes. 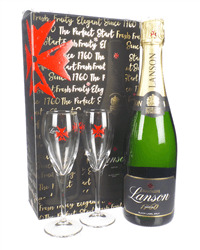 Simply choose your favourite, order online or by phone and we will deliver your gift with your own personal gift message.